For the bulk of X-Men: Apocalypse, the team felt like they were running in place. We’ve seen a handful of X-Men movies that have required Professor Charles Xavier (be it the Patrick Stewart version, or the James McAvoy version) to assemble his team of super-powered mutants so they could fend off… well, usually Magneto. He’s always a problem. But the X-Men are in desperate need of a leader, and they seem to have found one in this most recent film. Now it’s time for Cyclops to stand up and be the leader for which the X-Men franchise has been begging. This article is going to dive into spoilers for X-Men: Apocalypse, so stop reading now if you haven’t yet seen the film. Scott Summers, aka Cyclops, was an original member of the X-Men team introduced in the pages of Marvel’s comics in 1963. Fighting alongside Angel, Beast, Iceman and Jean Grey, Cyclops helped establish the mutant version of The Avengers, and blazed a trail that would lead to the nine X-Men movies that we’ve enjoyed to this point. 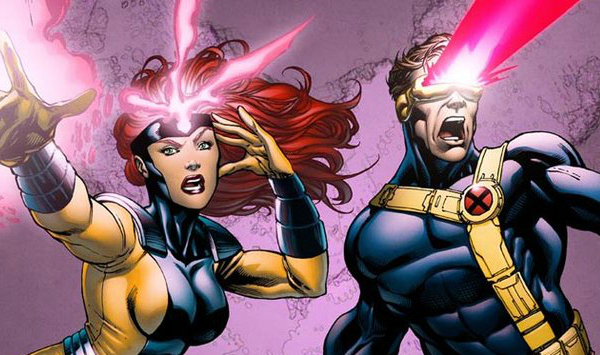 But Cyclops has never been able to break free of a supporting role in the X-Men movies, which have dedicated their respective spotlights to opposing characters like Wolverine (the fan favorite played by Hugh Jackman) in the original X-Men trilogy, and the trifecta of Charles, Erik, and Raven (of all people) in the First Class trilogy. Which is understandable. Let’s deal with the original X-Men trilogy. Bryan Singer set up a bit of an odd-couple love triangle in that film, pitting Jackman against a well-cast James Marsden for the attentions of Famke Janssen’s Jean Grey. But Jackman proved so popular, Marsden’s Cyclops was all but relegated to cameo status in X2 and X-Men: The Last Stand (even though he should have been integral to the telling of the Dark Phoenix saga in Brett Ratner’s first and only X-Men story). Looking to shake things up in X-Men: First Class, director Matthew Vaughn opted to populate his initial team of mutants with powerful characters we hadn’t yet seen on screen – for any proper amount of time. Sure, you needed to have Charles (McAvoy), Magneto (Michael Fassbender) and Mystique (Jennifer Lawrence). But their first class, pun intended, included such mutants as Azazel (Jason Flemyng), Havok (Lucas Till), Banshee (Caleb Landry Jones) and Angel Salvadore (Zoe Kravitz). The team continued to fluctuate through Days of Future Past, which once again leaned on Wolverine and his A-list First Class co-stars, but X-Men: Apocalypse took a big step toward righting the X-Ship and placing the pivotal character of Cyclops back where he belongs… as the natural team leader, and possibly a focal point of the franchise moving forward. Which character stands as the central anchor of X-Men: Apocalypse? Is it Raven? Not really. She spends most of the movie telling the new mutants that she isn’t the hero they think that she is. Is it Erik? No. Once he’s recruited to be a Horseman, the tragedy of this early arc fades away in the chaos which accompanies the usual popcorn blockbuster noise. What about Charles? He’s a victim of the plot, kidnapped and kept at bay by Apocalypse for the duration of the story. While a new team of mutants is introduced, and we finally get another version of Cyclops, both he and Jean are still figuring out how to use their powers in battle. It’s another origin story for the team’s natural leader. But it might be his turn. I’m very excited by the team that has been assembled in the closing minutes of X-Men: Apocalypse. With a bald Xavier overlooking his Danger Room, Mystique trains Cyclops, Jean, Quicksilver, Storm and Nightcrawler. Both Cyclops and Storm have spent time in the leadership role of the X-Men, as a team, and I think either would be outstanding choices to be the focal point of a series of films involving this team. There are countless stories left to be told in the X-Men universe, and they DON’T have to all be tied to Magneto. But because of his history with the team, and the complicated nature of Scott Summers’ personality, I think it would be great for the X-Men movies to make Cyclops the leader of the team moving forward, giving the movies a focused anchor on which to rely. Don’t make him Wolverine’s punching bag, or a throwaway effect in an Origins story that goes nowhere. Allow Cyclops, as played by Tye Sheridan, to lead. Allow him to fail. Allow him to fall in love with Jean (Sophie Turner), so that the Dark Phoenix storyline – whenever it happens – means more to us, as an audience. If any classic X-Men hero has been shortchanged the most over the course of nine X-Men movies, it’s Cyclops. And I think it’s time for Fox and the X-Men producers to change that.